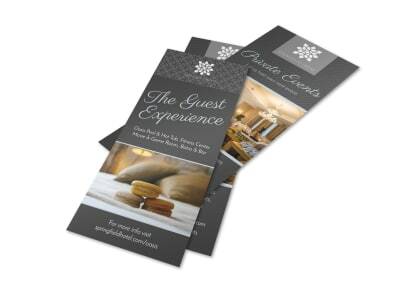 Customize our Hotel Showcasing Amenities Tri-Fold Brochure Template and more! Infinity pool? On-site fitness center? Unique shops in your lobby? 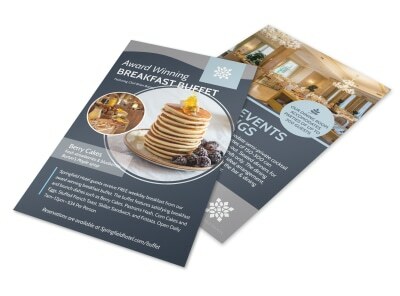 Show it off with a customized brochure you make yourself to promote your hotel’s amenities. 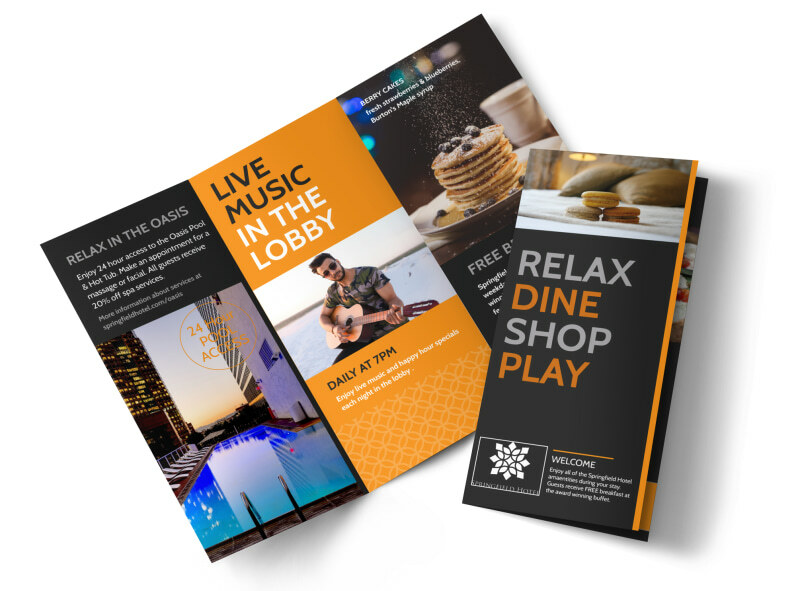 Insert color photos of your facilities and add details about local area attractions that hotel guests may want to check out while they're there. Begin the design process now, and have your brochure ready for instant printing and distribution today.